"I can assure you right now that your kids will love this book. They will giggle, they will laugh, and they will want this book to be read over and over again because it is just plain silly and funny ... the perfect kid-combo." -- Storywraps. 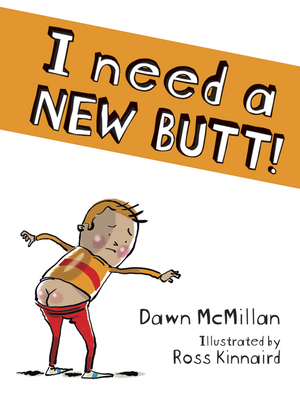 Dawn McMillan writes fiction, nonfiction, poetry, and storybooks for children. She is also the author of Woolly Wally and Holy Socks. She lives in Waiomu, New Zealand.Ross Kinnaird has illustrated such children's books as 50 Body Questions and the animated poem "Smaller," winner of the People's Choice Award at the World Parkinson's Congress. He lives in Auckland, New Zealand.